Blockchain: The Biggest Invention Since the Internet? 1 Comment on Blockchain: The Biggest Invention Since the Internet? Blockchain is already changing the financial industry, but soon, it could transform our whole world. 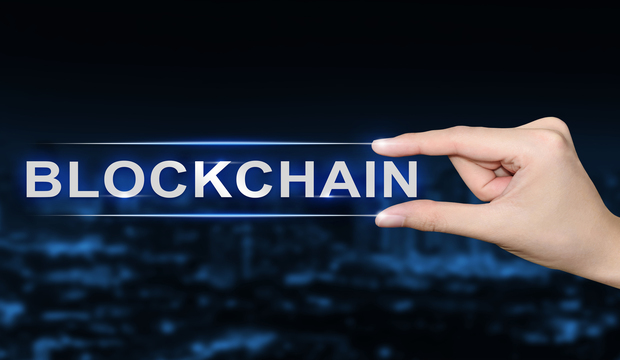 You have probably heard of Bitcoin and its meteoric rise over the years, but you might not have come across the technology without which Bitcoin would not exist: blockchain. At its core, blockchain is simply a decentralized database of various records. Bitcoin, a digital currency designed for peer-to-peer trading without the use of an intermediary, utilizes a Bitcoin blockchain to maintain records of all the transactions involving the cryptocurrency. And Bitcoin is just one of many digital currencies that use the technology. Blockchain has received plenty of attention from various financial corporations such as Goldman Sachs, J.P. Morgan and Bank of America, because as one Goldman Sachs 2015 equity research report puts it, “blockchain technology could disrupt everything.” According to Hadley Stern, Senior Vice President of Fidelity Labs, blockchain “will change the world.” Blockchain is being labeled a potentially revolutionary technology, but what exactly makes it so special? To perform a transaction through a blockchain system, one begins by writing a few lines of code, which are then shared with a network of private computers. Each private computer is called a “node,” and the nodes have to approve the transaction for it to be recorded in the decentralized ledger. Once a transaction is accepted, a record of the transaction, called a “block,” is immediately linked with all the other blocks in the system. With all the records being linked together, if someone might attempt to modify a particular record, they will have to tamper with all the other blocks in the database to do so. Much like it is impossible to alter the fact that Donald Trump won the 2016 US Presidential Election unless you somehow convince everyone that he did not win, it would be simply infeasible to modify the data in blockchain as it is shared everywhere in the system and becomes public knowledge. This keeps the records in the database secure and makes blockchain a trustworthy source of information. Blockchain was first developed to serve as a supporting system for Bitcoin, but its applications range way beyond a single cryptocurrency. For instance, Ether, another blockchain-based, distributed currency, serves as the form of payment in the Ethereum blockchain, a different subclass of the blockchain system that allows developers to build and utilize decentralized applications. Bitcoin is just one decentralized application intended for peer-to-peer electronic cash transactions, while Ethereum can be used to decentralize any type of centralized service, such as the lending service. Using blockchain, an individual may lend or borrow money in seconds instead of funneling requests through a bank or another intermediary that simply take longer. This technology can also eliminate numerous fee generating services offered by banks of all sizes, and banks have been very responsive to blockchain’s potential of disrupting traditional banking. In his 2015 letter to shareholders, Jamie Dimon, the CEO of JPMorgan Chase, claimed that “there are hundreds of startups with a lot of brain and money working on various alternatives to traditional banking.” He stated that they “can make loans in minutes, which might take banks weeks.” These fintech startups such as Abra and Ethereum, the company that designed the Ethereum blockchain, are using blockchain to develop faster and safer methods of buying, selling and lending. Dimon went on in his letter to say that “we are going to work hard to make our services as seamless and competitive as theirs. And we are also completely comfortable with partnering where it makes sense.” Financial institutions such as J.P. Morgan have already started working with startups, as a 2016 SEI report claims that 42 banks have joined fintech startups to develop blockchain technology for industry use, utilizing blockchain to record financial transactions with much greater security and cost efficiency. A 2017 report by Accenture claims that blockchain could save banks $8 billion to $12 billion annually and cut their operational costs by 30% per year on average. Various banks have also patented some of the most promising applications of blockchain. Goldman Sachs, for example, published a blockchain patent “Systems and Methods for Updating a Distributed Ledger Based on Partial Validations of Transactions” in September 2016 for foreign exchange trading. UBS and Santander had also partnered with a blockchain company, Ripple, whose cryptocurrency has a market cap of just under 10 billion. Banks are turning blockchain from a threat to their traditional services to a significant asset for the future. The financial industry is not the only sector that is exploring the potential of this technology. Blockchain is also being used in other areas of the private sector and the public sector. The healthcare and retail industries are beginning to apply blockchain technology to maintain records of transactions involving pharmaceutical drugs and goods purchased from retail stores. Various countries around the world are also currently testing and using blockchain. Georgia has recently moved its land registry into a blockchain network and has already registered more than 100,000 land titles using the technology. An increasing number of countries such as Luxemburg and China have also been exploring the use of blockchain to collect taxes. And this technology isn’t just being limited to single government operations. Dubai, for instance, plans to run its entire government on blockchain by 2020. It plans to use the technology to record all of its implementable transactions. According to Smart Dubai, a government entity charged with applying smart technologies to improve Dubai’s operations and the overall city experience, blockchain could save the city $1.5 billion a year. Although most of these projects are still in their development phase, their number is increasing every year as more and more countries are realizing blockchain’s immense potential. Although bitcoin has received much more attention, the cryptocurrency is only a fraction of the entire blockchain system that is set to revolutionize the world as we know it. Much like the internet disrupted centralized media and news services, blockchain could disrupt the centralized financial system. This technology is also set to alter business and government operations, as it provides a cost-effective, secure way of recording transactions and storing information. It is a technology with enormous potential, and as years go by, we will see if its true value lives up to its massive hype. The Upside of Disruption [PDF]. (2016). SEI.